TFSA or RRSP: Where Should You Put Your Money? Being a busy mom with a one year old toddler and a small business owner, it isn’t exactly easy to find time to read. Audible has actually become my best friend over the last few years. (For those of you who don’t know, Audible is owned by Amazon that offers audio books for a monthly subscription fee.) I highly recommend it to everyone who has to take a long commute to work everyday. There is no better way to spend the hour commute filling it with interesting content. Recently, I have been listening to Tony Robbins, “Money: Master the Game”. Despite the lack of Canadian content, it does provide some good insights in today’s investing market. One thing that I picked up is that he favoured to pay the tax now and invest in Roth 401K, the US version of Tax Free Saving Account (TFSA), instead of deferring the tax till you retire by investing in 401K, the US version of Registered Retirement Saving Account (RRSP). His philosophy is that US debt has skyrocketed over the last decade, the only way the US government is able to repay it is to raise taxes. He believes that tax rate will only go up, not going down. Hence, it’s better to pay the tax now, put the after tax money in a TFSA account and grow your wealth in it tax-free. It is an especially interesting concept to me given that we, as accountants, are educated to advise our clients to put their money in RRSP to defer taxes. If you are currently paying the highest marginal tax rate, and you are not expecting to have any less income when you retire, and continue to pay the exact same rate 20 years from now, mathematically, whether you invest in TFSA or RRSP, your after tax dollar is the same. Say you are contributing $5,000 every year to your TFSA annually and you are at the highest marginal tax rate, every year you are earning 10% return and you reinvest all the money you get back (compounding every year), 20 years from now, you would have accumulated $315K in your TFSA account. Of course, this is all tax free. You can continue to invest or you can take out the money. Now, say instead of contributing to TFSA, you contribute the equivalent amount before tax to your RRSP. If your top marginal rate is 50%, the equivalent amount before tax is $10,000. You put the same amount every year in your RRSP for 20 years earning 10% return and you reinvest all the money you earn to gain the same return, at the end of 20 years, you have $630K available for you to withdraw. Twenty years from now, if you are being taxed at the same rate as you have been for these twenty years, i.e. 50% in our example, your after tax money available from your RRSP account is exactly the same as your TFSA account, $315K ($630K * 50%). Pure mathematics. However, if you are paying slightly less tax, even at 40%, your net after tax cash from RRSP account would have already been higher than the TFSA account. On the flip side, if you believe that tax rate will rise in the future, even more than 50% (just feeling sick thinking about higher than 50% tax rate), TFSA is definitely your choice. Maybe you are just starting your career, you are still young and you are expecting to make a lot more in the future than today (the same scenario as rising tax rate), it’s definitely worth while taking advantage of TFSA as well. And of course, if you have sufficient financial resource, why not take advantage of both investment opportunities? Both are great saving vehicles that allow you to shelter a portion of the income in a tax-free environment. 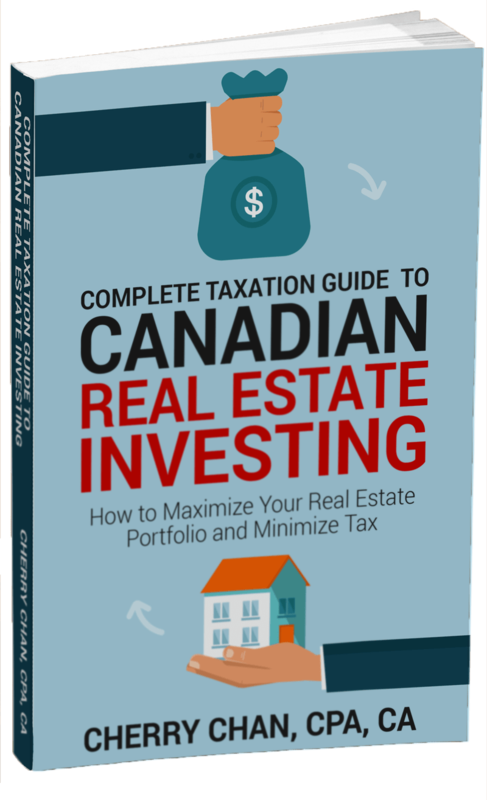 As real estate investors, you probably would ask me this next – “how can I invest in real estate using the money in my registered account (RRSP, RESP, IPP, PPP and TFSA)?” I will attempt to answer this question in my next blog post. http://realestatetaxtips.ca/wp-content/uploads/2016/07/CherryChanNameLogo1-1-1030x445.png 0 0 Cherry http://realestatetaxtips.ca/wp-content/uploads/2016/07/CherryChanNameLogo1-1-1030x445.png Cherry2015-02-26 15:39:032017-03-24 16:57:35TFSA or RRSP: Where Should You Put Your Money? The Year of the Goat, Chinese New Year 2015. Happy Chinese New Year everyone! It is the year of Goat in 2015. Our family wishes everyone a happy and healthy and prosperous year of Goat. Believe it or not, according to this Astrologer from Fortune.com, the real estate market and real estate investments are going to be stable and perform consistently. Yay to all real estate investors! As I mentioned previously in my blog, real estate corporations can be used to save you thousands of dollars of taxes when setup properly. Standard corporation setup without the contribution from a professional accountant usually has standard one class of shares, owned 50/50 by a real estate investor and the spouse. However, one of the strategies to use corporation to save you thousands of dollars is to split some of the income with a lower income spouse and/or your adult children. If the corporation is setup properly, it should be allowed to offer multiple classes of shares. Each class of shares is owned individually by you, your spouse and/or your children. Using an example to illustrate, in a standard corporation setup with only one class of shares, Mr. Investor and Mrs. Investor both own the same class of shares, 50/50. When $50K dividend is declared, Mr. Investor and Mrs. Investor would each be required to report 50% of the $50K, i.e. $25K dividend income each, on their respective personal tax return. Mr. Investor might have just decided to take a year off from work, but Mrs. Investor is still making 6 figure salary. Mr. Investor is likely able to receive this dividend without any tax liability, assuming he has no other income. But with this additional $25K dividend income, Mrs. Investor would still need to pay a significant amount of tax, roughly $10K. On the other hand, if the corporation is setup properly, Mr. Investor owns class A shares, Mrs. Investor owns class B shares, and Junior Investor owns class C shares. With this structure, the real estate corporation can declare the $50K dividend to Class A shareholder, Mr. Investor, who is on a year no pay leave, will report the entire $50K of income. He is then responsible for roughly $2,900 of tax liability. Mrs. Investor, who is the Class B shareholder, is not entitled to any dividend, and hence no dividend income is reported on her tax return. With the proper shareholding structure, it can save you $7,100 tax liability. And this is the power of owning properties in your corporation! Of course, beyond the income tax splitting strategy, there are also other considerations an investor should take into account when structuring the corporation shareholding. One of the most important factors is control of the company. Are you willing to give some control to your kids? If not, what can you do? You will definitely have to consult your professional advisor. Until next time, stay warm and have a great year of Goat! Recently, I had a few discussions with clients that complained about not getting sufficient cash flow from their investment. Capital appreciation of the property. Some investors also forgot about power of leverage. I feel compelled to share this calculation below with you. Let’s use an example to properly illustrate the calculation of investment return. You just purchased a rental property, located in a great location, close to public transit and malls. You even manage to rent it out before closing. Now closing time comes, you did your calculation, you have invested a total of $65,000 (Downpayment $50,000 + closing cost $5,000 + renovation cost $10,000). Note that calculation above did not take into account the cost of selling the property. What kind of investment products would allow you to make this type of return other than real estate? $100 monthly cash flow may seem like a small amount, but cash on cash return alone (just by collecting rent and paying down the mortgage) would allow you to earn 7.23% on your investment. Appreciation can bring up your return all the way up to 27.23%! Of course, I have to caution everyone that this calculation has not taken into account the tax cost. You do have to pay tax in this 27.23% return on investment. It is year 2. Everything went on smoothly. At the end of year 2, it is time to evaluate your real estate investment again! We are using the same amount for mortgage paydown and the annual cash flow to keep things simple. So for year 2, the cash on cash return is 7.23% as well. (See cash on cash return calculation above). But cumulatively, your cash on cash return for both years now become 14.46% (($4,700 + $4,700) ÷ $65,000). Of course, you can use the same way for calculation for Year 3 all the way to the year you decide to sell your property! This calculation just goes on to show that you $100 cash flow may seem small, but it is not as small as you think! If you weren’t able to borrow and choose to purchase the property all in cash, your initial investment would have been $265,000. Year 1 Cash on Cash return is 4.30% (($10,200 (No mortgage payment to pay) + $1,200) ÷ $265,000). Year 1 return on investment would have been 9.21% (($13,000 + $10,200 + $1,200) ÷ $265,000). Still not bad, just slightly lower than 27% if you were to borrow 80%. The example above shows you the power of leverage. Because you are able to borrow to purchase the property but capitalize on the full appreciation on the property, your return is significantly higher. And of course, the more leveraged you are, the more risk is involved, also the less your cash flow would be! Until next time, stay warm and happy investing! As real estate investors, I would assume the majority of us have read the book Rich Dad Poor Dad written by Robert Kiyosaki. It was the book that changed my life and my perspective on money. Being a Chartered Accountant, I was blessed to make a decent living right out of university. From my early days as a co-op student to a full time position, I had never needed to worry about getting a job with decent pay. Thanks to my parents, I was debt free since I graduated. Being able to make a decent living with limited expense early on helped me with the purchase of my first residence – a condo in Richmond Hill. From there on, as I progressed through the corporate ladder, I made more money. I got a nicer car and a bigger home. I was the classic ‘middle class’ described in Rich Dad Poor Dad. This was when the problem came in. I started noticing that I had no money in my bank account. I lived pay cheque to pay cheque. Wealth is really measured by how long you could live without getting a paycheck. It was zero for me at the time. Robert Kiyosaki said that, “assets produce income whether you work or not.” It was then I realized, my nice car was a liability, my executive Toronto townhouse was also a liability! None of these assets are producing ANY income for me. It took me a while to make changes in life. We refinanced the townhouse to purchase our first student rental. We have also rented out the townhouse for a great rental return. And, we live in a detached home with a walkout basement, which is currently rented out to a tenant. We turned the majority of these liabilities into money producing assets. Many investors, who are like us, have rented out their basement to generate extra income. For a property to qualify as principal residence (and hence the gain on disposition is tax exempt), the taxpayer or taxpayer’s family (spouse or child) must “ordinarily inhabit” in this particular property. A family unit can only claim one property as the principal residence in any given year generally speaking. If you live in the house and you rent out your basement, this is considered a partial change in use in CRA’s eyes. If you have undergone a structural change to section off the space for income producing purpose, the Income Tax Act provides for a deemed disposition of this converted portion of the house. The gain on the deemed disposition is being sheltered by the principal residence exemption. No tax would need to be paid on it. You are allowed to deduct capital cost allowance (CCA) on the capital cost of that portion of the house, and any cost involved in altering the house against the rental income. At the same time, you are also required to pay tax on the capital gain you earned on this converted portion, so NO principal residence exemption! What’s considered “structural change” is more substantial and permanent in nature. Examples include conversion on front half of the house into a store, conversion of a house into a self-contained domestic establishment for earning rental income (a duplex or triplex). In our case, we did not do any alteration structurally (we bought the house that has a secondary suite) and hence no structural change was made. Although it was producing good income on a monthly basis, it is only sufficient to cover our monthly maintenance cost and we, as a family, are still occupying the major section of the house. The income producing use is therefore considered ancillary to our residence use. And of course, we will not claim any CCA at all, just so that we can preserve the principal residence status on this house! Luckily, in our case, the deemed disposition rule does not apply to us. Cherry Chan, Your real estate accountant.